What’s On Our August Wish List? Look what’s just arrived from LA! 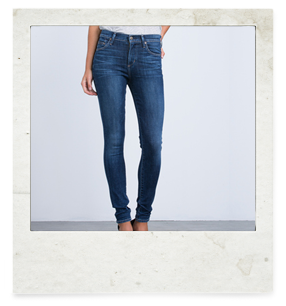 Our best-selling denim jean, The Rocket, from the jean-ius that are Citizens of Humanity. This high rise skinny (don’t worry they aren’t crazily high) is a versatile clothing piece that is a perfect staple to any women’s closet. Both flattering, stylish and super comfortable, our choice of blue & black denim washes makes this the perfect jean for both daytime and evening wear: pair back with Bensimon sneakers and a James Perse cotton tee for a casual weekend look, or a sophisticated blazer and high heeled sandals. Visit duckeggBLUE today for your everyday go-to essentials. Reclaimed from Provence, France, and lovingly restored here at quintessential duckeggBLUE, this original French postal box has just arrived in store. 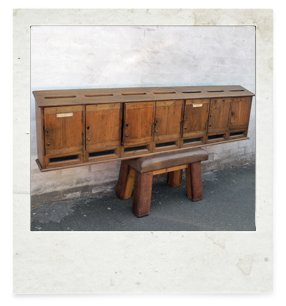 Dating to the late 40s and made from French oak timber, this postal box would once have hung in the entrance hall of a small apartment block. With 7 individual postal boxes, each with a slot for mail to be posted, a glass window and brass door knob, this quirky find will add a touch of character and individuality to your interior – great hung from a kitchen or hallway wall, even a home office. 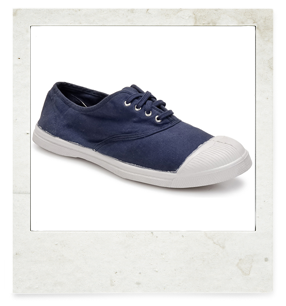 Bensimon – the perfect do-anything, go-anywhere shoes have just arrived at duckeggBLUE. These iconic, French canvas tennis and ballet shoes should be your go to tread for an understated and relaxed weekend look. From neutrals of white & taupe, classic navy and emerald green to limited edition Liberty prints, put your best foot forward today in a pair of Bensimon treads. Dating from around 1880, quintessential duckeggBLUE’s new collection of Napoleon III Parlour Chairs & Sofa is truly elegant. Of medium proportions, and set on original legs, this 2-3 seat parlour sofa’s understated style of the neutral cotton covering can add charm to any home. 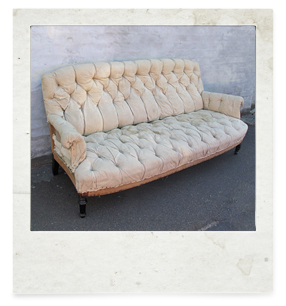 Beautiful as is, un-upholstered, with the detail of the framework showing, this sofa can easily be upholstered in a fabric of your liking. Our covetable collection will add a touch of understated French style to your décor. For refined smart casual style, look no further than James Perse. Take this contrast collar blouse – a graceful office-ready blouse gets a touch of contemporary style with the contrast collar trim updating the classic look. Made from the finest, soft to the touch fabric, this go-to office essential is available at duckeggBLUE in both white (as featured) and black. Are you office-ready? Visit The Man Next Door today and make sure you don’t miss out on our best-selling men’s tee! 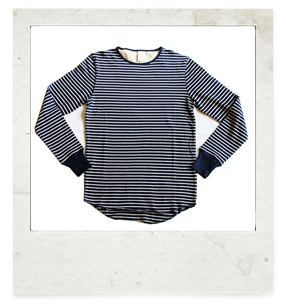 Back in stock, the Eugene Tee from Sydney designers, Three Over One, brings fresh attitude to the classic striped tee. Effortless and ever-so affordable ($110), this piece is made from soft cotton-jersey for a comfortable feel and refined appearance. Contrast the two-tone navy & ecru palette against jet-black or indigo denim.